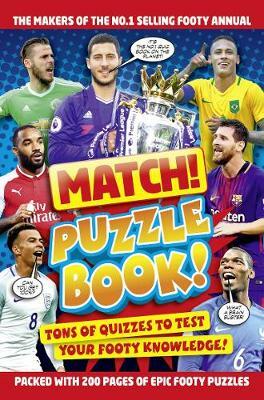 Packed with brilliant footy puzzles from the makers of the UK's best football magazine! Includes spot the difference puzzles, wordsearches, true or false puzzles, crosswords, wordfits, player and team quizzes, anagrams, transfer trackers, odd one out puzzles and loads more! 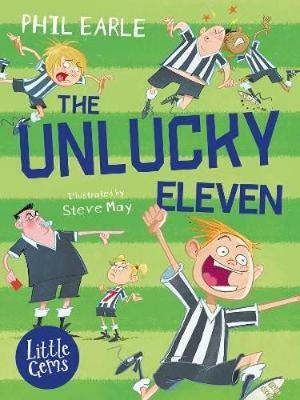 Test your football knowledge! 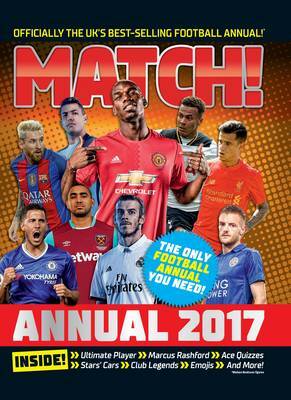 Match is the biggest-selling football magazine in the UK, selling over 80,000 copies every week. It is the magazine all football stars want to be in, and all football fans want to read.